Dallas is one of the largest cities in the entire US and a must-visit location for anyone in Texas, and it’s also one of the best spots in the whole state when it comes to fly fishing. 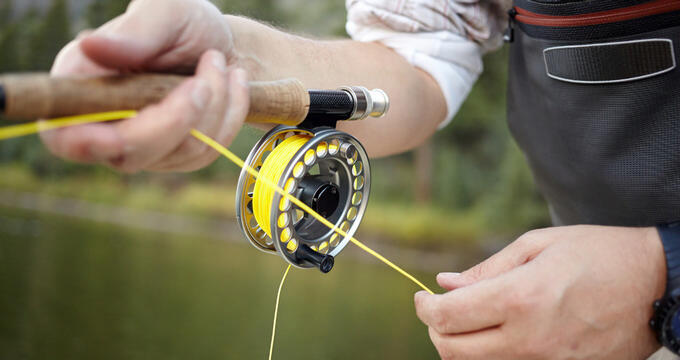 Fly fishing in Texas is highly popular, with great locations all around the famous state, but with its wide variety of lakes and rivers, Dallas is definitely one of the most popular spots. Fly fishermen in this area can reel in all sorts of species and some huge catches have been recorded in Dallas over the years. Bass - Bass fishing is a big deal in Dallas, Texas, and there are plenty of superb bass fishing spots in and around the city. Many lakes are stocked up with bass regularly and several annual bass tournaments at held at some of these lakes too. Bass bite all year long in Dallas and can be a very impressive catch for fly fishermen. Both striped bass and largemouth bass can be caught in this area with White Rock Lake and Lewisville Lake being some of the best locations for bass fishing in Dallas. Catfish – Easily distinguished by their unique barbels that resemble a cat’s whiskers, catfish are highly prized for their flesh and can be caught in various bodies of water around Dallas like White Rock Lake and Lake Ray Hubbard. Rainbow trout - Rainbow trout have always been one of the most highly prized species of fish for fly fishing and the same is true in Dallas. These fish can be found in various rivers and lakes around the city, including the Highland Park area and Lake Lewisville. 1.White Rock Lake - Filled with largemouth bass and several other species, White Rock Lake is located in the northeastern section of Dallas. This 1,254 acre lake is a very popular fly fishing spot and has proven to be a great place to reel in some big ones throughout the year. Sunfish, crappie, carp, and catfish can also be found in this lake. 2.Lewisville Lake - North of Dallas sits Lewisville Lake. Covering almost 30,000 acres, it's one of the biggest lakes in the surrounding Dallas area and is highly popular for recreation of various kinds, including fly fishing. Various marinas and fishing charters operate in this area, as well as big bass tournaments. The record bass catch in the lake measured up at almost 12 pounds. 3.Lake Ray Hubbard - East of Dallas sits another of the area’s biggest lakes. Covering over 22,000 acres, the lake has repeatedly proven to be an excellent location for fly fishing. Hybrid striped bass, largemouth bass, channel catfish, crappie, white bass, and others can all be found in this enormous lake, and the beautiful surrounding scenery provides the perfect setting for a relaxing fly fishing session. 4.Lake Arlington - Not far from Fort Worth and the AT&T Stadium is Lake Arlington. This relatively small lake measures holds annual bass tournaments and has been popular with kayakers and fly fishers for some time now. Largemouth bass, white bass, and crappie can all be found in this lake, which features multiple piers for easy fly fishing.